BlackBerry will still support Flash for now | BlackBerry Blast! Even after Adobe announced it will stop developing Flash for mobile devices, RIM says the BlackBerry will still support Flash, at least for the PlayBook tablet. RIM says it will move ahead with Flash and HTML 5 so it's very likely that at some point in the future they will eventually drop Flash. Steve Jobs famously dumped Flash in favor of HTML 5 for Apple products because he said Flash was buggy and crashed a lot. He was scorned by Adobe for those comments, but he turned out to be right. Microsoft decided against including Flash in Windows Phone Mango. IDC analyst Al Hilwa said Microsoft's decision not to support Flash in Windows Phone 7.5 or Windows 8 Metro "has to have weighed in" Adobe's decision on Flash. "Deciding how much [Adobe should] invest in Flash is no doubt related to the overall investments that other key vendors are making in HTML5...The support for HTML5 is overwhelming from browser makers and platform owners." IDC predicts that 90% of smartphones and tablets with have HTML5-ready browsers by 2013. On the other hand, IDC said it will take until 2015 for 90% of desktop browsers to support HTML5, which is one reason Adobe has stuck with investing in Flash for desktop browsers. 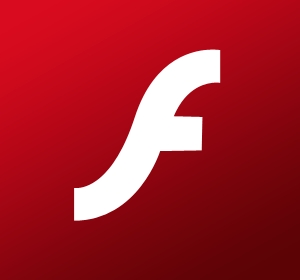 Android still supports Flash for now and no official announcement has been made regarding future support.